Medical services are an integral element for all phases of ASEAN disaster management – preparedness, response, and recovery. Medical professionals play a vital role in working to safeguard the health and wellbeing of individuals directly and indirectly affected by disaster, as well as aid workers deployed in the field. Importantly, the improvement of the affected population’s psychological health and resilience in order to recover quickly after experiencing a disaster also form a key health-related focus. 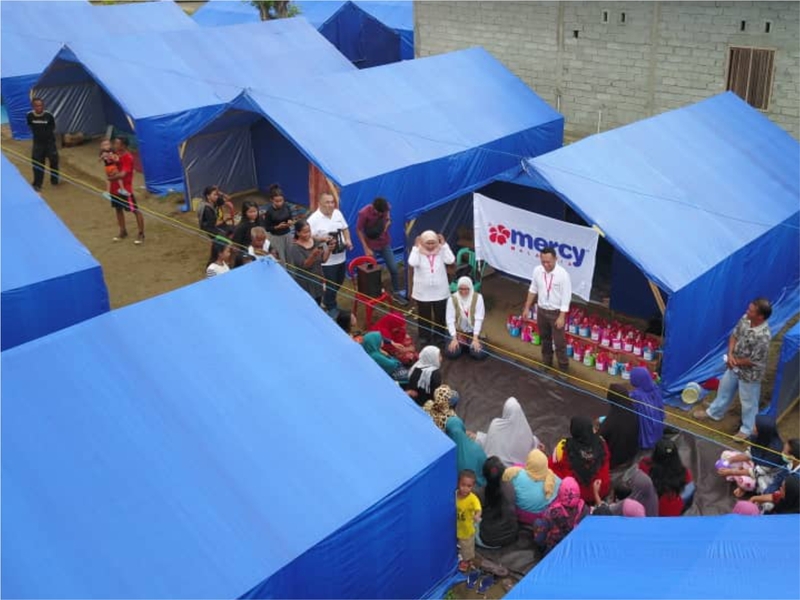 In the ASEAN region, Mercy Malaysia forms one of the primary organisations for health-related activities in disaster situations, and work alongside the AHA Centre in improving health elements in the ASEAN disaster management field. MERCY Malaysia, or the Malaysian Medical Relief Society, is an international, non-governmental organisation that focuses on providing medical relief, sustainable health-related development, and risk reduction activities for vulnerable communities, in both crisis and non-crisis situations. MERCY Malaysia is a member of the AADMER Partnership Group (APG), a consortium of seven INGOs who are committed to work with ASEAN to ensure the people-centred implementation of AADMER, leading to a resilient ASEAN region. MERCY Malaysia’s capabilities have also been included by the Government of Malaysia within the ASEAN Standby Arrangements. MERCY Malaysia has been supporting and contributing in delivering humanitarian aid and expertise to the ASEAN Emergency Response and Assessment Team (ERAT) since 2013. Through this partnership, there will be a greater support, facilitation, involvement, and beneficial participation of civil society organisations from ASEAN Member States. This will be facilitated through a Regional Alliance for Collective Emergency Response (RACER), which allows non-government emergency response organisations to support One Asean One Response. Using the ASEAN Joint Disaster Response Plan (AJDRP), RACER will contribute to the realisation of One ASEAN One Response vision. Furthermore, MERCY Malaysia provides support on developing mental health and psychosocial support (MHPSS) for ASEAN-ERAT members deployed to emergency response situations. To formalise MERCY Malaysia’s engagement with the AHA Centre, the two organisations signed a Memorandum of Intent (MoI) on the 27th of June, 2018, in Kuala Lumpur, Malaysia, on the sidelines of the Eighth Meeting of the Governing Board of the AHA Centre. The MoI not only strengthens the partnership between the two entities, but also signifies their commitment to cooperate in areas of mutual interest, and to reinforce each party’s current capacities that are recognised as mutually beneficial.